Kham Thien District shots, including Mrs. Nguyen Thi Tuyet by her shoe shop and Mrs. Phung Thi Tiem in the yard of her house. 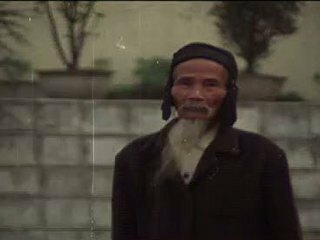 Chicago: “Vietnam: A Television History; Kham Thien District [Part 2 of 2],” 02/15/1981, WGBH Media Library & Archives, accessed April 20, 2019, http://openvault.wgbh.org/catalog/V_3447E259995648DF9C744D6089F1730C. MLA: “Vietnam: A Television History; Kham Thien District [Part 2 of 2].” 02/15/1981. WGBH Media Library & Archives. Web. April 20, 2019. <http://openvault.wgbh.org/catalog/V_3447E259995648DF9C744D6089F1730C>.